Welcome to all who are new, and to all who are regular guest. Feel free to make any comments, wither here or via my email. I'll try to fix them asap, but not being all that computer savvy... you get the idea. This was built on an important link between the two main provinces that would become Greater Romania. King Carol I began the building which was completed in 1914. 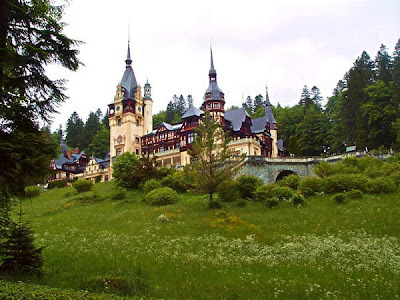 After 1947 it was taken as a part of the Romanian government property only to be returned to the Romanian Royal family later. It remains as an important piece of history as it links once more Wallachia to Transylvania.